Do you have your Super Bowl game plan set up yet? We have the secrets to making this year your best Super Bowl ever! The big game is this Sunday and whether or not you like football, chances are you’ll be watching with family and friends. It doesn’t matter if you’re cheering for the Patriots or the Falcons, but it does matter how you watch the game. 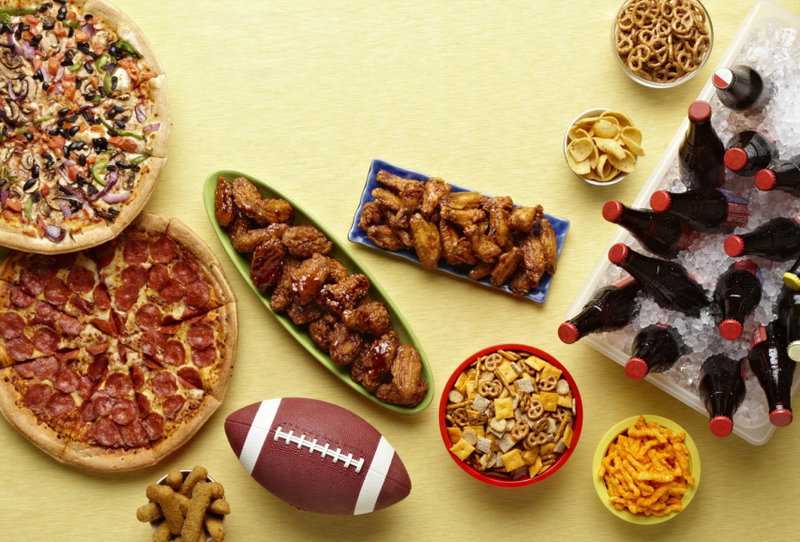 Super Bowl snacks just might be the most important part of a successful Super Bowl party. Of course, you can ask guests to bring their favorite snacks, but as a host, it’s important to serve a selection of game day favorites. Think of food that can be easily prepared in advance, served cold or kept warm in a crockpot so you’re not tied to the stove the entire game. Check out Marcus Samuelsson’s famous meatballs or Wild Wild Wings. You may not have seats for every single guest, but chances are not everyone will be sitting at the same time. It’s great if you have one central seating area, like a sectional, for those who really want to watch every play of the game. And for those of us who just want to watch the commercials and the halftime show, we’re content watching from the sidelines or hanging in the kitchen by the Super Snacks. It’s important to show up for the Super Bowl in style. And if you don’t know who to cheer for, pick a game day neutral, like this Retro Football Top. 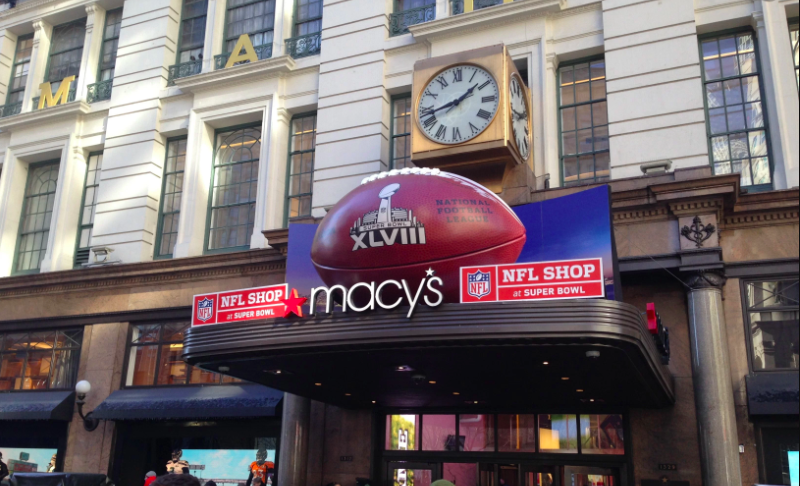 Did you know Macy’s also carries all the best team gear too (including ladies’ styles), so make sure to check out the Macy’s Super Bowl Team Shop if your favorite team is in the hunt for the big trophy this year. Regardless of which team wins on Sunday, following these Super suggestions will ensure you and all your guests come away as winners.